Today's Status Report focuses on the current work of the team to fix the remaining issues in the PC BETA, while we are getting closer to our release in December. Eugen gives an overview of the most pressing issues, and the team leads give a brief recap of their work during the past two weeks. Let's get into it! Xbox One update/Martin - Basebuilding & Vehicles game update details; DayZ is 15% OFF on Xbox One now! Dear Survivors! Today, I'm gonna talk about the pressing issues that you are experiencing in-game now, about our update schedule, as well as touching on the subject of things breaking apart as we get fixes in. But before I do all that, I just want to celebrate another milestone in the history of DayZ! To this day, the game has attracted more than 4 million people and I cannot state how grateful we are for all the support you gave us over the years. It's amazing that this genre has grown so much. All that makes me excited to continue, and I'm glad I could be a part of this team and the community for a better part of the last five years. As we march towards the 1.0 release, we will break things as we apply systematic changes to frameworks that hold the gameplay together. While it may seem as counterproductive from outside perspective with only couple weeks left before the release, there is usually (usually, but not always - truth be told, we make mistakes) a good reason behind it. I'm going to try and break it down for you. When we see an issue somewhere, we have to consider many factors. Our implementation needs to be consistent across the board in the underlying systems. Not only this is good for modding in the long run, it is also very important for us to lower the amount of new issues brought in with every update. In reality, that may mean that while a feature or action might be working right now, we have to break it temporarily, and apply fixes to make sure its implementation is, in the end, consistent with everything else in-game. Having said that, we are not happy about it and understand that it is hurting the player experience. While we have closed numerous bugs with recent patches, and improved many systems from a technical point of view, we introduced new ones that need our attention. Things will stabilise in the coming weeks and post 1.0, and our goal is to benefit from this stabilisation in the long run. Another thing I wanted to touch on was the update schedule. Since the initial switch over to Stable, we have made some mistakes and learned from them. We had a streak of hot-fixes in a very short time period and while we will keep reacting to most pressing issues as quick as we can, we want to stabilise our update schedule to the Wednesday maintenance window. The use of the Experimental branch will be less frequented, but still possible if required. We will try to be consistent, but flexible when needed. We want to get better. We have tracked and fixed a number of hit registration issues over the last couple weeks. To be specific, I'm talking about the inventory manipulation of magazines through double click, which wasn't properly synchronised and caused ghost bullets. Another issue was with zeroing and a reload initiated during scoping/iron sights in a specific way. The most common issue was caused by problems in packet priority and networking. Overall, you shouldn't be seeing hit registration issues pop up too much any more, and I highly recommend you to contact us through the Feedback Tracker if you experience weapons not dealing damage at all. While there are certainly some issues with damage itself left, it is tied to a balance pass and things will get ironed out. I'll also be talking about one specific damage issue that has popped up on our channels recently. The next update should contain the keybinding UI and while still work in progress, it should be a large improvement over what was possible before, and it will also finally be consistent with other UI elements in-game. Lighting and exposure settings are being debugged right now and you should see changes coming in over the next weeks, making sure that both day and night lighting problems, tone-mapping, luminosity, light sources and what the community describes as excessive bloom are improved. The issues we are tracking right now require more input from the Engine Team and are planned after the next Stable update. With the investigation into FPS issues reported, we haven't gathered enough evidence yet. I would like to ask all of you experiencing a decrease over the last few patches to send us information about the server you play on (possible modification causing some drops, even economy changes causing more items to be placed on map), their configuration and drivers to help us iron out exactly what happened and how. Internally, we haven't been able to reproduce it on any range of systems we have available, but we may be missing a crucial piece of information. As I already mentioned, while fixing some things, we also manage to break them. Let's see what's broken. 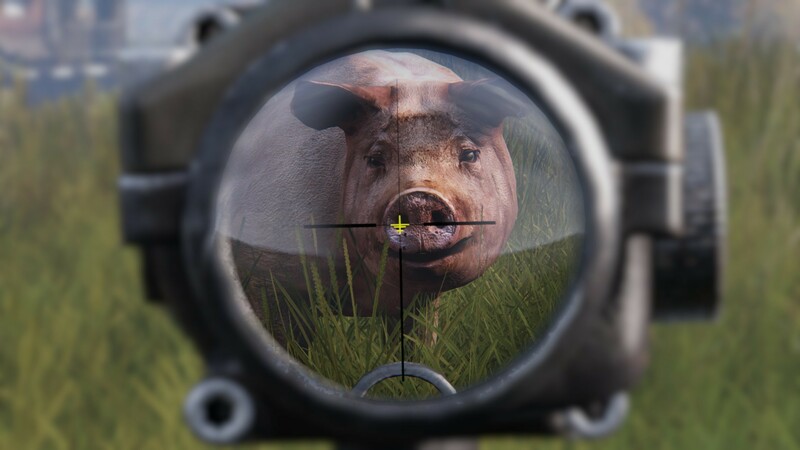 To make things short for the Status Report, I'm just going to list them as bullet points of current most pressing issues, and you can read the full context and our response in the related forums thread[forums.dayz.com]. Again, please make sure you read the related forums thread[forums.dayz.com] to see our replies on the issues you reported. Many of the reported issues can be improved by value adjustments on our end. I want to emphasise how important this balance pass is for DayZ and its functionality. While all sorts of interesting features are in, they require us to review their current state. We need to get dirty to properly configure them. Gun-play, damage values, diseases, economy, persistence, and so on - bugfixing definitely comes first with high priority issues, but a balance pass is what makes the game fun in the first place. We will announce as things get rolled out over the following updates before we reach 1.0. The first thing you should be seeing is recoil and its behaviour tweaks. Hi everyone! While on the PC side of things, we're in full bug fixing mode, our Xbox Survivors are still waiting for the big update to drop. As we detailed in our Xbox Development Briefing[www.dayz.com], if things go well, we'd like to release the Basebuilding & Vehicles game update on Xbox this Thursday. This is still with a disclaimer as we'll be going through the final stage of testing tomorrow, but even if we discover some specific issues, this update will still be the biggest Xbox update of DayZ since we launched in Game Preview. We're also right in the middle of the Xbox Black Friday sale, and this will probably be one of the very few chances to get DayZ on Xbox One[microsoft.com] for an advantageous price (currently 15% OFF at $33,99 / £26,99 / 33,99€). So, If you were considering getting DayZ on Xbox, or convincing your friends to give it a try, right now is probably a good time to go for it. The game will only get better and more polished from here, so while I'm of course strongly biased, I'd say the current price is a pretty decent deal. Over the past week, we've been collecting your feedback on gameplay mechanics in the first installment of the Focused Feedback Round on our forums. Below, you can find links to the individual topics. You've sent us countless ideas and suggestions for every single one of them. As we are pretty busy with the preparation of the December release, we will take this week to evaluate your feedback before starting round two. We are going to talk about gun mechanics, melee, infected and the damage system, so gather your thoughts for when we open the next Feedback Round. Greetings from the animation team Survivors! We've been very focused on bug fixing and improvements to existing animations and systems in these past two weeks. We have finished a pass on hundreds of in-game items, mostly updating their holding poses to make the animations look more natural, and also to reduce various clipping issues. There are still some problematic items which will be up next. Other than that, we've also worked on bug fixes in the animation graph and animation polish for player character animations. One of the specific improvements is the addition of animations related to various sickness states. Player characters will be able to show signs of being sick by coughing or sneezing, and also to show signs of being too warm/too cold. Hi all! In the audio team, we've been working on introducing additional variety to the sounds of player movement. That includes three different sounds for movement with a backpack, three new sets of sounds for various types of clothes (represented by the Patrol Jacket, Raincoat, and Quilted Jacket) and noises for movement with the ghillie suit. By now, you have also probably discovered that the leaves are now rustling when players are moving through bushes and small trees. Finally, our infected received new voices, now totaling at four male and two female infected voice variations. Hello everyone, I am leaving to my two-week long holiday today, but I prepared a Community Spotlight for you before I take off. While it's quite some time since the Halloween, I have not had the chance to feature all the spooky screenshots and videos that you've sent me, so this is why I dedicated a large part of my yesterday's community spotlight to those!There ares also photos of our own real-life infected at the Prague Zombie Run, and a many community mods for you to try! Check out the Community Spotlight HERE[www.dayz.com]!